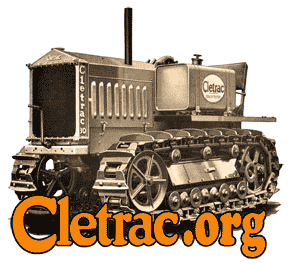 Cletrac.org > Cletrac Website / Forum Discussion > Cletrac Website / Forum Discussion > Access to video . Hi Blake ,I see you have put some up on the video links page .I went to have a look but it said i don't have permission.What do I need to do to be able to look ? ian. Re: Access to video . Let me see if I can figure it out. Must be some permissions setting. Thanks for letting me know. I think it will work now Ian. Had to change a few settings. Just watched 'em. Pretty cool pull, there. Unrelated, found some other Cletrac vids, and suddenly launched into WWI --that's right-- WW ONE tanks!! You can fix it so it cannot be fixed! !